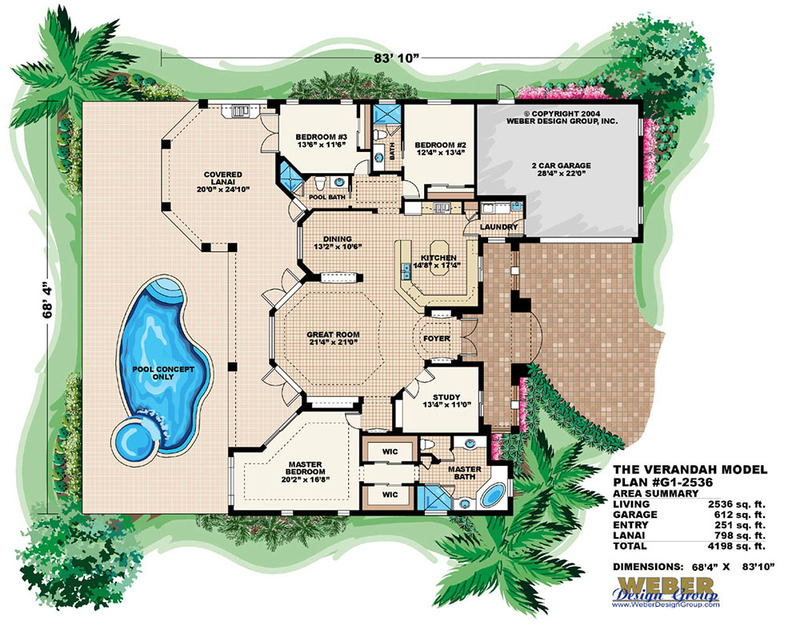 The Verandah house plan features everything you might want in a Mediterranean design with an efficient use of space. 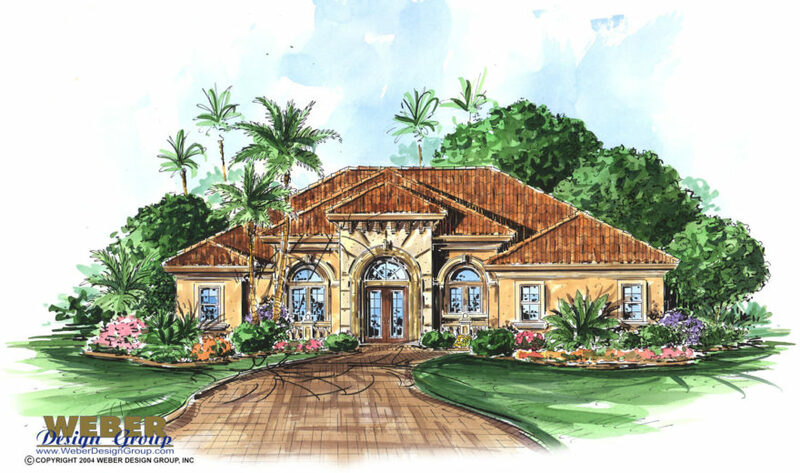 At just under 2600 square feet, this home plan offers three bedrooms, a study, three full baths, great room, kitchen with island and bar, two nice sized walk-in closets in the master as well as corner garden tub and separate shower in the master bath. 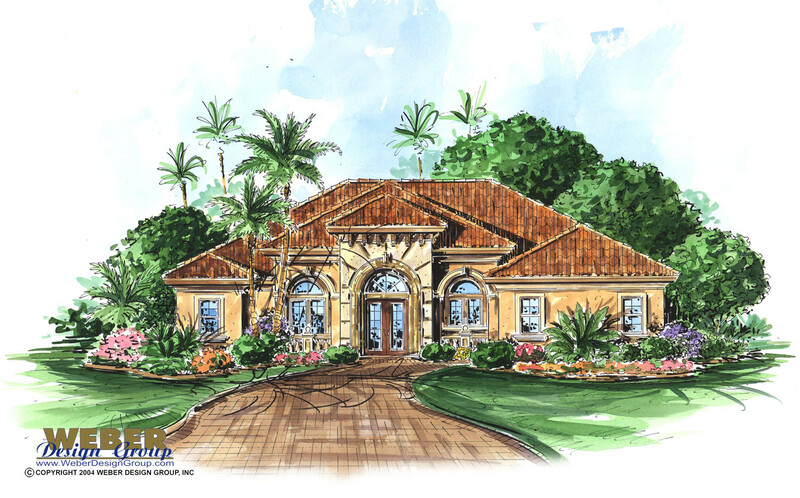 The large covered lanai can be accessed from the master bedroom, great room, and 3rd bedroom and features an optional outdoor kitchen. The rear of the plan features plenty of windows to showcase a waterfront or coastal lot.